If mind control is the act of warlocks hypnotizing their victims then this man has the ability to break those spells like a powerful magician. 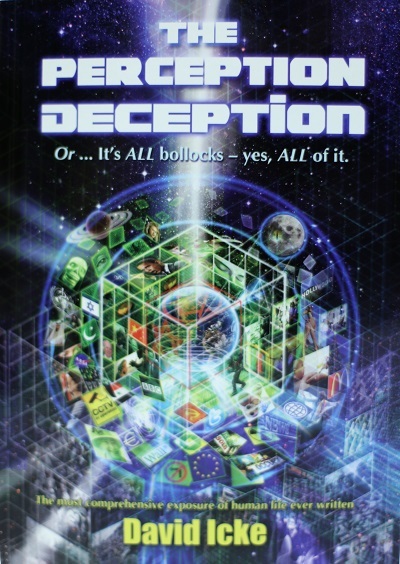 Top-notch researcher, prognosticator, Peace and Love preacher, dot connector, comedian* and public speaker David Icke slams home yet another volume of Mind Bending Truth. His barrage of hard hitting facts will make your head spin, but few works better arouse support for the upliftment of humanity than his 2014 book, The Perception Deception. *Note: David isn’t really a comedian but his style of delivery in this book had me openly bursting with laughter. It was welcome; a refreshing respite in relating his tale of this matrix ‘house of horrors’. At a shade shy of 900 pages, Icke’s latest compilation is an epic tome of some of the most powerful insights into the human condition to date. It took me the better part of 9 months to read it but mostly because I read 3 other books simultaneously. Basically, this means that The Perception Deception is like 3 books by anyone else and that doesn’t even take into account the depth of content. The illustrations are fantastic. The middle section has full color glossy pages of the amazing artwork of Neil Hague, along with short paragraphs that describe what is being relayed to the viewer. Then add to that over 800 pictures spread throughout almost every page of the book and the reader is given a much more enhanced experience in understanding Icke’s presentation. Up front, no…my spell-check works fine. If I quote him and the spelling seems off it’s because he’s British and some of their words are spelled differently than ours. And I would like to explain a few of the themes present throughout his book that will actually clarify this Mind Bender’s write-up. First, his use of the term Archons. In The Perception Deception on page 82, “The name ‘Archon’ derives from the Greek term archaia, which means ‘from the beginning’ and Archon was also used by the Greeks as a term for ‘prince’ or ‘ruler’. 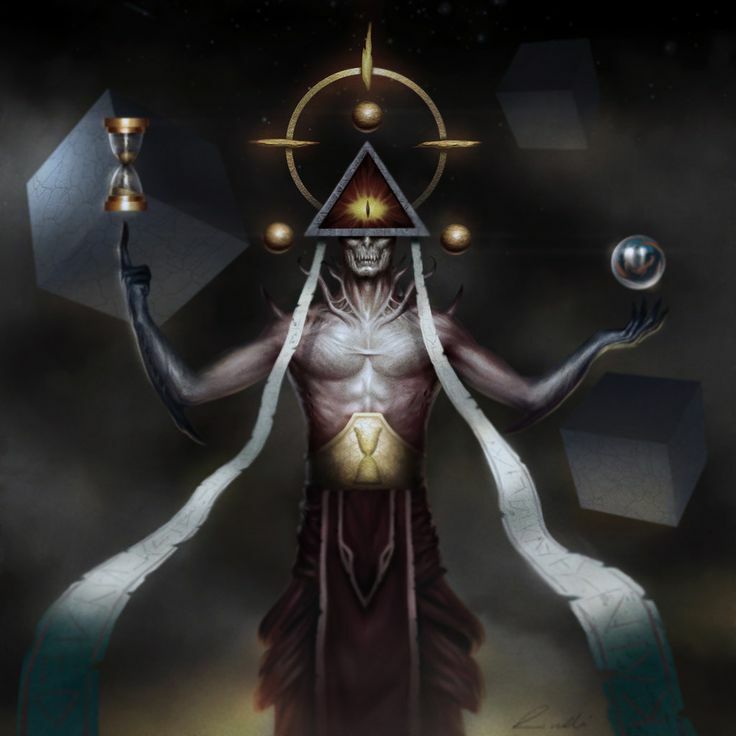 Archon is appropriately derived from the same root as monarch and hierarchy and we also have archbishops, Royal Arch Freemasons (one of the most significant Freemasonic groupings) and other uses of the term. Throughout the rest of the book Icke hyphenates any word with El in it as a matter of course, e.g. the family bloodlines in control of the planet see themselves as ‘El-ite’ because of their genetic connection to the Archontic ‘gods’. This is just the beginning of the breakdown he uses in describing the application of the word ‘El’. One other constant is his humorous jab of adding the word inversion to every term that describes the institutions having to do with government, science or religion. 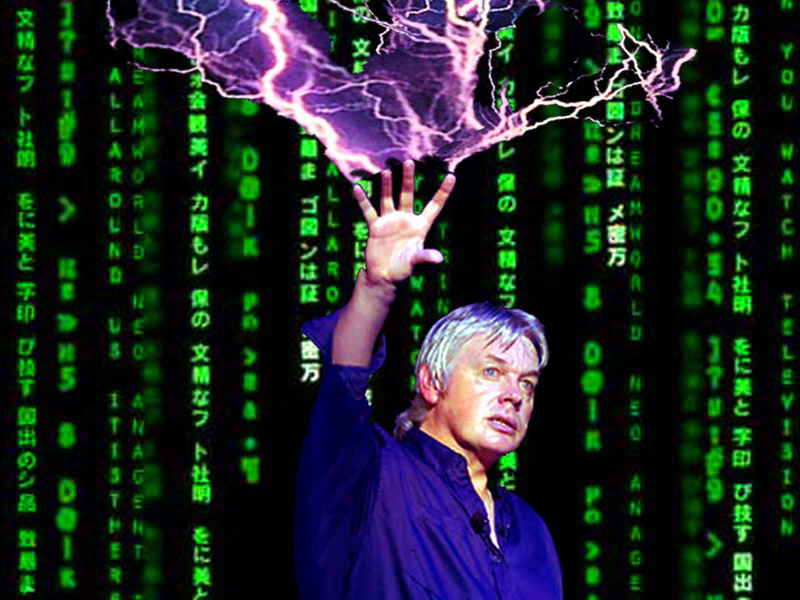 Icke’s monumental research combines subjects such as cutting edge physics, technology, education (inversion), sociology (secret societies), history, archaeology, anthropology, occult study, current events (problem-reaction-solution), politics (satanists), economics (Rothschild Zionists), medicine (inversion), and psychology (mind control). With a periodic injection of his personal experience Icke has successfully created a clear overview of not just our global condition, but the plans the ‘El-ites’ likely have in store for the future. His presentation is skillfully woven together in a manner that exposes the invisible hands hard at work animating the puppets who implement schemes for total planetary control. A great example of this is his insight into Agenda 21, which he likens to the hit movie The Hunger Games. 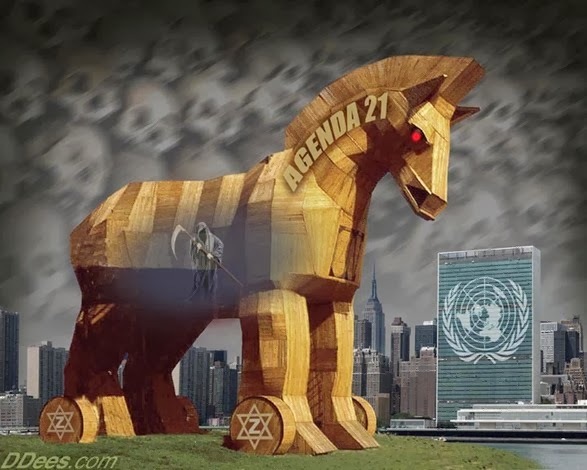 On page 619, “Agenda 21 was established at the United Nations Conference on Environment and Development in Rio de Janeiro, Brazil, in 1992, hosted by Maurice Strong, a Canadian oil and business billionaire and long-time frontman for the Rothschilds and the Rockefellers. Getting the picture? If not, let’s make it clear. This is just a chunk off the tip of the iceberg of the material David covers, but I will give some highlights. He takes painstaking detail in exposing satanic pedophiles that masquerade as world leaders, public figures and politicians. He holds no punches in implicating the Catholic Church and the British Royal Family in these scandals. The reptilian genetic bloodline features prominent here as well, but to anyone familiar with Icke’s work, this is nothing new. Occult symbolism and geomancy are explained in great detail, especially in Washington D.C. and The Vatican. The ‘Saturn-Moon Matrix’ is some of the most extreme reality stretching you’ll ever read. He presents strong evidence that the moon was artificially made. Put that in your medical marijuana pipe and smoke it. 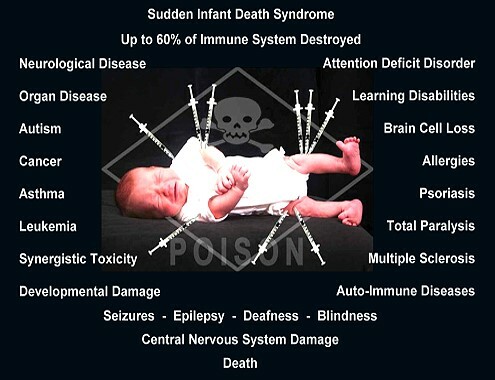 He handles the ‘Culling of the Kids’ by exposing the vaccine nightmare. If you are in need of some educational material on this, The Perception Deception is a great resource. Yeah, that sounds real safe. No responsible parent would EVER risk their child’s life and wellbeing after reading that! – Keep the adult public attention diverted away from real social issues, captivated by matters of no real importance. – Keep children ignorant of real mathematics, real law, real history. – Keep the public entertainment below a sixth-grade level. – Keep the public busy, busy, busy, with no time to think. “It shoots situations, instead of bullets; propelled by data processing, instead of chemical reaction (explosion); originating from bits of data, instead of grains of gunpowder; from a computer, instead of a gun; operated by a computer programmer, instead of a marksman; under the orders of a banking magnate, instead of a military general. “It makes no obvious explosive noise, causes no obvious physical or mental injuries, and does not obviously interfere with anyone’s daily social life. Yet it makes an unmistakable ‘noise’, causes unmistakeable physical and mental damage, and unmistakably interferes with daily social life, i.e. unmistakable to a trained observer, one who knows what to look for. The public cannot comprehend this weapon, and therefore cannot believe that they are being attacked and subdued by a weapon. “The public might instinctively feel that something is wrong, but because of the technical nature of the silent weapon, they cannot express their feeling in a rational way, or handle the problem with intelligence. Therefore, they do not know how to cry for help, and do not know how to associate with others to defend themselves against it. 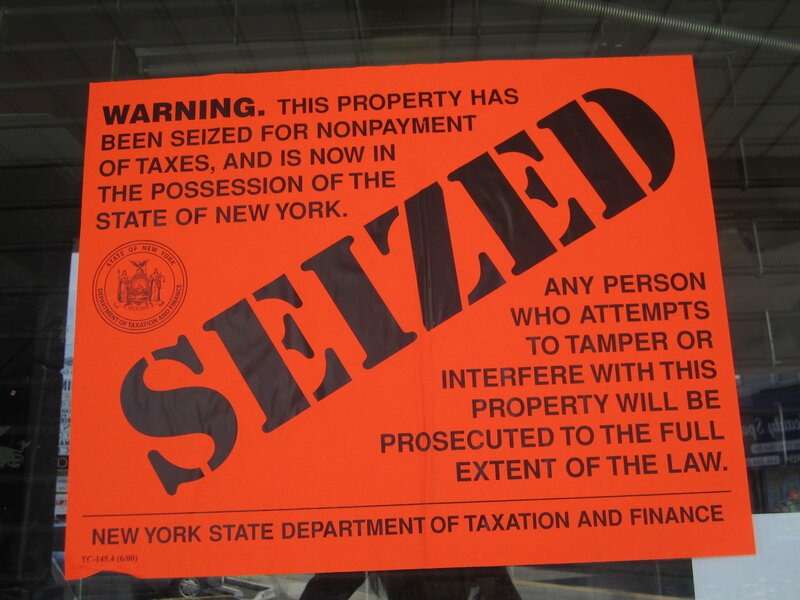 “When a silent weapon is applied gradually to the public, the public adjusts/adapts to its presence and learns how to tolerate its encroachment on their lives until the pressure (psychological via economic) becomes too great and they crack up. I would say that society is losing that war. My last teaser, one of the best tidbits Icke shares is of the transhumanist agenda and a self-aware internet going conscious by the year 2020. On page 858, “Google is the predominant player in the transhumanist agenda and technology like Google Now is designed to track and manage every aspect of people’s lives (continued)…and able to recognise your voice patterns which are an expression of your unique vibrational signal. “(continued) Google executive chairman Eric Schmidt (Rothschild Zionist) said in 2013 that the company could produce artificial intelligence within five to ten years that would be indistinguishable from the human mind (the enslaved human mind that is). 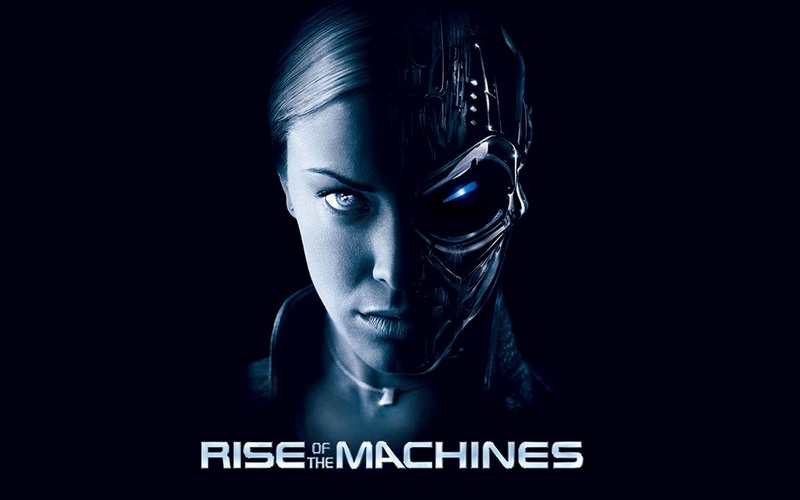 “(continued) His desire for a society run by robots and transhumanist technology is shared by so-called futurists such as Ray Kurzweil (Rothschild Zionist) who wants to see humans merged with machines and have global society controlled by computer systems with an artificial intelligence that surpasses that of the entire human race (the enslaved minds of the human race). “Kurzweil is the director of engineering at … Google. One of his tasks there is to oversee the development of an artificial brain and I’m sure that DARPA’s Regina Dugan is delighted to have him on board. We are now getting close to the major reason why the Internet was created using military technology. If it didn’t suit the interest of the Archontic bloodlines this would not have happened. “I have been saying for years that the World Wide Web was developed as a technological collective mind and now they are talking about that. I have also heard the question: Could the Internet ‘wake up’? Could it reach the point where it transforms into a global technological mind that begins to dictate to humans rather than the other way around by transforming into a form of technological consciousness? Those Matrix and Terminator movies don’t seem so far off anymore, do they? Did You Know That A Third Tower Collapsed On 9/11?